Why is CSPI misleading the public about stevia? The FDA, it seems, has found a new ally in its industry-inspired campaign to suppress stevia’s use in the United States — none other than the “food police” themselves. That’s right. The Center for Science in the Public Interest has recently shined its negative spotlight on the sweet herb that has never been known to harm anyone, and pronounced it a menace to society. This supposed consumer-watchdog group best known for finding and fighting fat in every corner of the American diet, has in the past attacked and slandered coconut oil, a very beneficial plant fat especially prized for its anti-fungal and anti-viral properties. (Coconut oil is highly recommended as part of the Body Ecology Diet). The problem with CSPI’s anti-stevia campaign is that the organization doesn’t appear to have even read the stevia-related material to which it refers the public. If it did, it might have noticed its points being contradicted by its own “outside experts” — along with the fact that the petitions it cites were not seeking “food-additive” status for stevia, as CSPI claims, but rather affirmation by the FDA for generally recognized as safe, or GRAS status. (which is based on common and safe use in food prior to 1958). In a press release headlined “Stevia: Not Ready for Prime Time” (1) and in the group’s monthly newsletter, a CSPI nutritionist, David Schardt, while acknowledging no evidence of harm to humans, on stevia’s part, claims “laboratory studies” have found “potential cancer and reproductive-health problems.” He goes on to say that “if stevia were marketed widely and used in diet sodas, it would be consumed by millions of people — and that might pose a public health threat.” What Schardt doesn’t tell us, however, is that both of the outside experts he quotes in the Nutrition Action article have gone on record with the FDA as endorsing stevia. Kinghorn is quoted by Schardt as saying “But the Japanese don’t consume large amounts of stevia,” (a statement Schardt also made on the Canadian television show Marketplace). This too, is inconsistent with Kinghorn’s safety review, in which he makes several references to stevia’s “extensive use” in Japan. While CSPI uses such dubious data as a basis for recommending that stevia be kept out of products for the foreseeable future, however, it continues to fail to give anything more than a mild rebuke to aspartame on its Web site. Aspartame, the chemical sweetener now added to countless products from yogurt to children’s vitamins and medicines has been the subject of many thousands of consumer complaints about side effects ranging from migraines to seizures, and was considered a possible brain-tumor risk by the FDA’s own scientists. Nowhere, however, do the food police seek to ‘arrest’ the use of aspartame, whose manufacturer, Nutrasweet is believed by many to be the original complainant that launched the FDA’s crackdown on stevia. Under certain laboratory conditions steviol can be created as a breakdown product from stevioside and rebaudiaside (which are two of the sweet compounds in the stevia leaf). 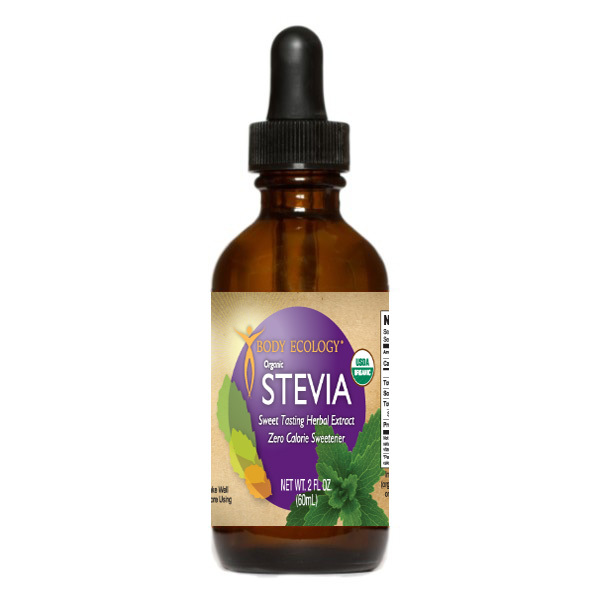 Steviol is not a component of the stevia leaf, nor can it be created as a result of food processing. The questions raised about steviol are; is it a mutagen, and most important of all, can human beings metabolize stevia into steviol. Since, according to the Herb Research Foundation, steviol “has not been shown to occur in nature or in man,” it would seem that any studies on steviol would be moot; however, various studies have been done, some using extremely large amounts of labratory-created steviol on test animals. A few studies have suggested that steviol could be a mutagen, but only under certain conditions. Dr. A. Douglas Kinghorn, professor of Pharmacognosy at the University of Illinois (one of the outside experts quoted by the Center for Science in the Public Interest), has previously said about the steviol issue; “I don’t think it’s that big a question mark because of the Japanese experience. They’ve been taking it (stevia and stevia extracts) for 20 years now and they’ve had multigenerations of humans using it. (To produce steviol) requires metabolic activation which may or may not happen,” he points out.